Short Takes » On Sun and Rain » Rain, Rain, Go Away? As children, we used to chant whenever it rains, “Rain, Rain, go away. Come again another day. Little so-and-so wants to play.” The chant sometimes worked—and it would bewilder us. Sometimes the chant failed to work its wonder—and we would play under the rain anyway, that is, if Nanay allowed us to. There is something about the rain that makes me feel comfortable. It’s probably the way it lowers the temperature. Definitely, the mantric pitter-patter of raindrops falling on the roof and the way the rain makes the leaves sing a song of their own all add to the mesmerizing effect. Rain soothes me, pretty much like a lullabye does. Everytime it rains, I feel vulnerable, like a distraught child being calmed down. That’s exactly what I felt like today. All throughout the day, the rain has been pouring, with intermittent letups. And, just tonight, it poured down hard. Something about the rain makes me want to escape it, yet something about it makes me not want it to stop. That’s what makes me believe rain is magical. 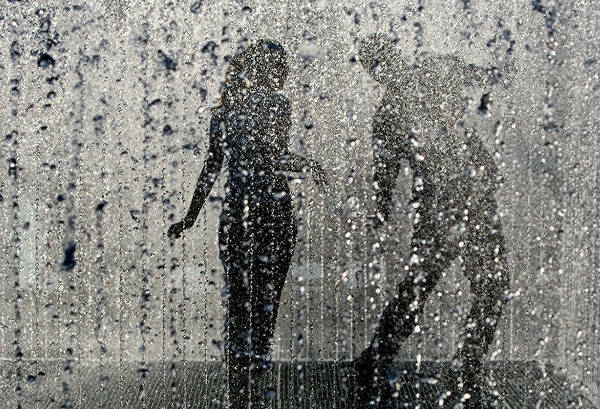 Maybe, the coolness of the rain intensifies the pleasure of warmth. I guess the contrasting feelings make the difference. If not for the cold weather, I would not appreciate the warmth of coffee, of a hug, of hot noodles, of my blanket. In contrast, if not for hot weather, I would not appreciate the coolness of the airconditioner, of the ice in cold beverages, of the shade that trees give.